Your business profiles play an important role in bringing in new customers. In today’s digital world, many prospective customers head straight to Google to find local businesses. So your Google+ Local page is especially important. Make it stand out by adding an animated GIF cover photo. After logging in to your Google account, visit plus.google.com/dashboard. 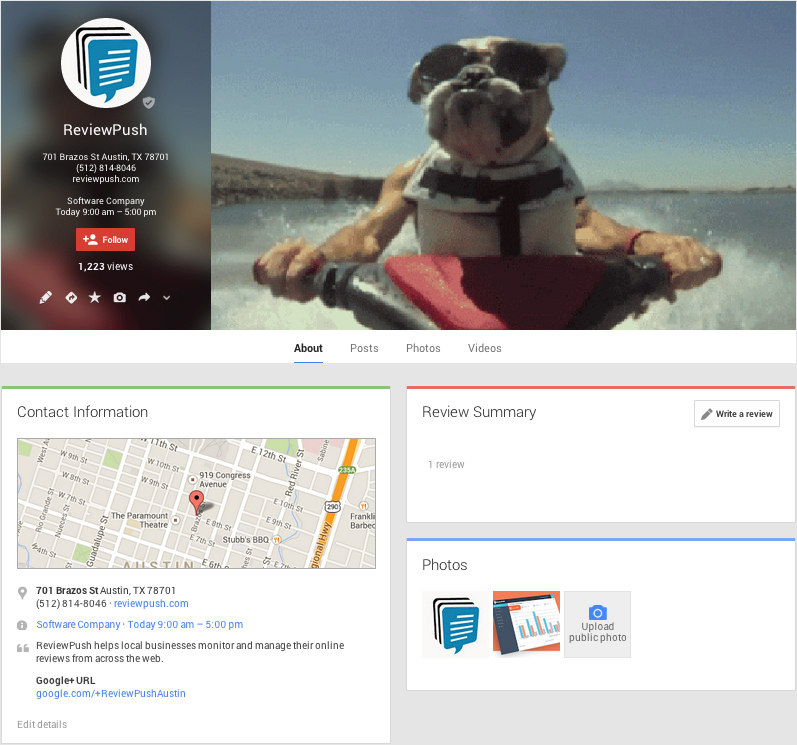 Click Manage This Page, then hover over the lefthand menu to select Google+ Page. Place your cursor over the cover photo to edit it. Upload your GIF image. Other review sites, like Yelp and Facebook, will not allow you to add GIF images to your profile. Not many Google+ users are aware of this ability either. Be a step above the rest with a cool GIF cover photo.